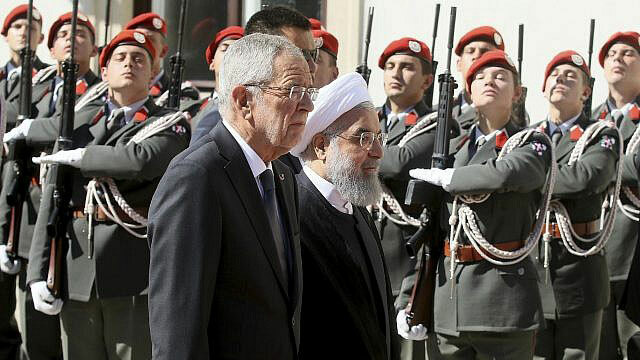 Vienna, July 6 (Just News): The top diplomats of Iran and five world powers meet Friday as Tehran seeks assurances it will benefit economically from the nuclear deal despite the US withdrawal from the pact. But in a setback on the eve of the talks, Iran’s President Hassan Rouhani told French President Emmanuel Macron that European economic measures now on offer did not go far enough. Rouhani, who this week visited Europe to rally support for the nuclear deal’s survival, said in a phone call with Macron that the package “does not meet all our demands”, reported Iran’s IRNA state news agency. Since US President Donald Trump’s shock move in May, which dismayed all other signatories, Washington has warned other countries to end trade and investment in Iran and stop buying its oil from early November or face punitive measures. The other signatories — Britain, France, Germany, China and Russia — have vowed to stay in the accord but appear powerless to stop their countries’ companies pulling out of Iran for fear of US penalties. The top diplomats of the five powers and the European Union were due to join Iranian Foreign Minister Mohammad Javad Zarif from 0900 GMT in Vienna, where the accord was signed. Russian Deputy Foreign Minister Sergei Ryabkov said this week the talks should give an “impetus” to protect the interests of economic actors. And Chinese Foreign Minister Wang Yi said the meeting would “send a united and determined signal” to the world that the other parties “will continue to respect the agreement”. Visiting Austria on Wednesday, he met Yukiya Amano, head of the UN nuclear watchdog IAEA which monitors Iran’s compliance with the accord. Rouhani told Amano that US sanctions were a “crime and aggression” that other nations should resist, according to IRNA. He added that “if the other signatories, apart from the United States, can guarantee Iran’s interests then Iran will stay in the JCPOA”, or Joint Comprehensive Plan of Action, the accord’s formal name. Iran, which strongly denies ever having sought a nuclear bomb, has warned it could resume uranium enrichment for civilian purposes if the deal collapses. Supreme leader Ayatollah Ali Khamenei has vowed that Iran “will never tolerate both suffering from sanctions and nuclear restrictions”. US-Iran relations have been hostile since the 1979 overthrow of the US-backed shah and US embassy hostage crisis. Washington considers Iran a state sponsor of terrorism, with links to Lebanon’s Hezbollah, Hamas in the Palestinian territories and networks in Iraq and Yemen, and demands it cease support of Syrian President Bashar al-Assad. One of those detained was a diplomat attached to the Iranian embassy in Austria.